Which model of vehicle to buy for backpacking in New Zealand? Travelling New Zealand by car or campervan is an awesome way to see the country and experience true freedom. However, the model of vehicles in New Zealand might not only be different to what’s available back home, but with things like availability of vehicles, prices and how readily available parts are in case your vehicle needs repair all need to be taken into consideration. 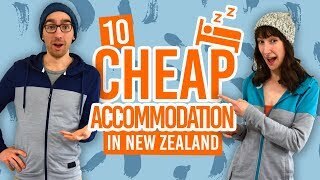 Plus, buying a car or campervan to travel New Zealand can be an extremely cost-effective way to see the country, especially if you sell it after your trip. So what models of car or campervan should you buy when travelling New Zealand? As a budget traveller, it’s like that you’ll want something cheap, reliable and perhaps something you can sleep in to save some extra cash on accommodation. With that in mind, we have given detailed descriptions of the four most popular backpacker cars on the market in New Zealand. 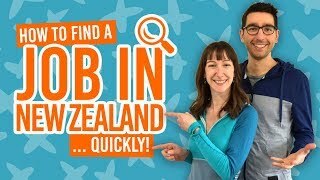 What features to look out for on a vehicle to travel New Zealand? 2WD or 4WD? – Two wheel drive will get you around fine on New Zealand’s sealed roads and gravel roads (just take it easy on gravel roads). 4WD is not necessary but might come in handy if you are stuck in a muddy campsite, for instance. Self-containment certificate – Being a certified self-contained vehicle means that you can freedom camp for up to three days across the country (apart where there are restrictions). Find out more about where you can camp in Camping in New Zealand. To check out the pros and cons between 2WD cars, 4WD cars, campercars, campervans and motorhomes, check out What is the Best Type of Vehicle to Rent in New Zealand? Let’s start with by far the most popular backpacker car in New Zealand, the Toyota Estima. The Toyota Estima is a spacious SUV carrying seven people. Take the seats out and you have plenty of room to fit a bed and extra storage in the back. It’s ideal for one or two people travelling around New Zealand and sleeping in their car. What’s more, the “family car” will cost less than a campervan on the ferry between the North Island and South Island. Most Toyota Estimas for sale on backpacker car markets and Facebook groups are already custom-built with a raised bed so you can fit storage underneath. If you have the time and are willing to rent or buy the tools, you can even modify a Toyota Estima yourself. The Toyota Estima drives very well for a car of its size. It’s low height means you don’t get the feeling of leaning around corners and the steering is light. Most commonly, you’ll find models on the market with 2.4-litre engine which produces 116kW. This makes the car pretty zippy with just two people, a bed and a couple of backpack’s of luggage. Any more, and you’ll feel the car become sluggish. Some versions of the Toyota Estima come with a 3.0-litre engine, hybrid engine or four-wheel-drive, which obviously boosts the performance and fuel economy. The entry-level Toyota Estimas (2.4 litre four cylinder engines) are considered durable and reliable if it has been regularly serviced. However, look out for the plastic top tank which can degrade over time leading to leaks and the possibility of the engine overheating. Early signs of this is parts of the plastic turning a brownish colour. Also look at the condition of the rear suspension trailing arm bushes which often wear down on high-mileage Estimas. The great thing about Estimas is that there are so many in New Zealand that getting parts is cheap and readily available. Labour costs will be your biggest expense on any repairs. Of course, look out for the standard mechanical issues on an Estima as you would when buying any car. More on that can be found at Buying a Car in New Zealand Step 1: Car Inspection. For a Toyota Estima 2000-2010, on-road fuel cost is estimated at NZ $1,480 per year based on driving 14,000km per year and the fuel price is NZ$2 per litre (according to Right Car). Alternatively, the Toyota Estima 1997-2001’s estimated road fuel cost is at NZ $1,710 per year. The second-most common backpacker vehicle is the Honda ODYSSEY. It’s another SUV/people-mover that can be transformed into a bed-wielding campercar. The spacious SUV carries seven people but most Honda ODYSSEY’s on the backpacker market have the passenger seats either removed or cleverly folded down with a bed built on top. Furthermore, you’ll get away with paying a car price for the ferry between islands rather than a more expensive campervan. The standard model has a either a 2.2 or 2.4 litre engine which is fine for two passengers, a bed and a couple of backpacks in the back. Any more and the car will start to feel sluggish. The ODYSSEY is comfortable to drive, even if the steering feels a bit light, and experiences a bit of a lean on corners. There have also been a few complaints of judging the space of the earlier models of the Honda ODYSSEY so a lot of care is needed when parking. The engines of Honda ODYSSEY are pretty sensitive and require regular servicing. The cambelt needs to be replaced regularly and sludge build-up can cause issues in the advanced variable valve timing systems. Earlier versions of the ODYSSEY (up to 2003) have been known to have issues with the automatic transmission. Issues can still remain in later models with continuous variable transmission (CVT) which is identified by a shudder on take off or a loss of drive. Issues can also be identified in a manual/five-speed transmission if the engine revs between shifts. It’s best to avoid buying cars with these issues as replacing can be costly (around NZ$2,500). Parts are relatively easy to source in New Zealand, with the exception of panel and trim parts which can be costly. Car insurance would not be a bad idea when getting a Honda ODYSSEY, which you can read up more on in Buying a Car in New Zealand Step 4: Backpackers Car Insurance. For a Honda ODYSSEY 1997-2003, on-road fuel cost is estimated at NZ $2,720 per year based on driving 14,000km per year and the fuel price is NZ$2 per litre (according to Right Car). Alternatively, the Honda ODYSSEY 2004-2012’s estimated road fuel cost is at NZ $2,600 per year. Moving onto the larger vans, Toyota Hiace is one the cheapest panel vans on the market making it an extremely popular backpacker campervan. The Toyota Hiace sits a driver and either one or two passengers in the front. Although there are a few empty vans in backpacker car markets and on Facebook groups, if you have the time, the money to rent tools and the DIY skills you can spruce up a fine campervan with a lot of space to work with. One of the biggest draw cards is that there is enough space to store a portable toilet and has water supply and storage making it possible to have this van self-contained therefore, a lot more options for freedom camping. Nevertheless, there are plenty of options for already modified Toyota Hiaces available if you just want to buy one and hit the road. As a bigger van than the cars previously mentioned, you’ll need to be aware of the space for parking. As a higher van too, you are likely to experience more of a lean or body roll on corners so take it easy. The Toyota Hiace is by no means a fast van, but it can handle heavy loads, so kitting up the van does not strain the engine. The engine is just below the driver’s cabin, so it can get pretty noisy when driving. Driving is similar to a car except the hand brake is below the steering wheel. Where the Toyota Hiace lacks in quality interior it makes up for in it’s reliable engine. You’ll find plenty of 1995 and onward models which keeps prices low and they may have a good engine if they have be regularly serviced. Be sure to check the engine and follow the steps in our guide Buying a Car in New Zealand Step 1: Car Inspection and Buying a Car in New Zealand Step 2: Test Drive. The main thing you will need to look for is damage to interior or panels. Check out the sliding doors to see if they work properly, for instance. Also check if the appliances in the campervan work properly. For a Toyota Hiace 1996-2009, on-road fuel cost is estimated at NZ $2,180 per year based on driving 14,000km per year and the fuel price is NZ$2 per litre (according to Right Car). A strong competitor on the backpacker campervan market to the Toyota Hiace is the Nissan Vanette. Another cheap van with a reliable reputation, the Nissan Vanette is an easy campervan doer-upper. There are plenty of already modified campervans out there on TradeMe, backpacker car markets and Facebook groups for a quick road trip getaway. However, if doing one up yourself, you will notice some slightly odd shaping of the interior yet still plenty of space to make it a self-contained vehicle, to add a kitchenette and sleeping area. Usually found with a 2.3 or 2.4 litre engine, the Nissan Vanette is more of cruisy van than a fast one. You won’t be overtaking too many cars of going up hills in a hurry. The engine noise can be a bit a loud in the driver’s cabin too. However, you can also usually rely on it’s powerful braking system too. As a high van, expect to feel lean as you go around corners and be aware of its size when parking. The Vanette also has a reputation for being bumpy in the back so secure your items. The Nissan Vanette excels in the amount of weight it can carry comfortably (1,200kg), meaning that kitting it up as a campervan is not a problem. Be sure to do all the checks mentioned in Buying a Car in New Zealand Step 1: Car Inspection and Buying a Car in New Zealand Step 2: Test Drive. Also check the exterior for damage. For a Nissan Vanette 1999-2012, on-road fuel cost is estimated at NZ $2,310 per year based on driving 14,000km per year and the fuel price is NZ$2 per litre (according to Right Car).